Location: Georgia, the Autonomous Republic of Abkhazia, not far from Sokhumi on the river Besleti. 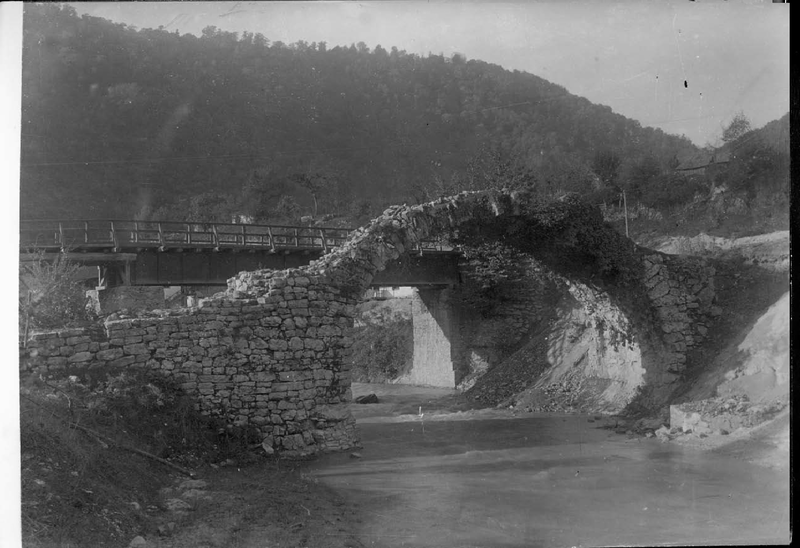 Historical-architectural description: Not far from Sokhumi, over the river Besleti, a single-span arched bridge is arranged total length of which equals 35 m. and width – 8 m. The bridge is built of limestone tiles and is faced with the hewn stone blocks, with the flat brick courses included between the stone masonry courses. The bridge is a monument of the medieval Georgian architecture, builder of which had a good understanding of the capacity of the river. 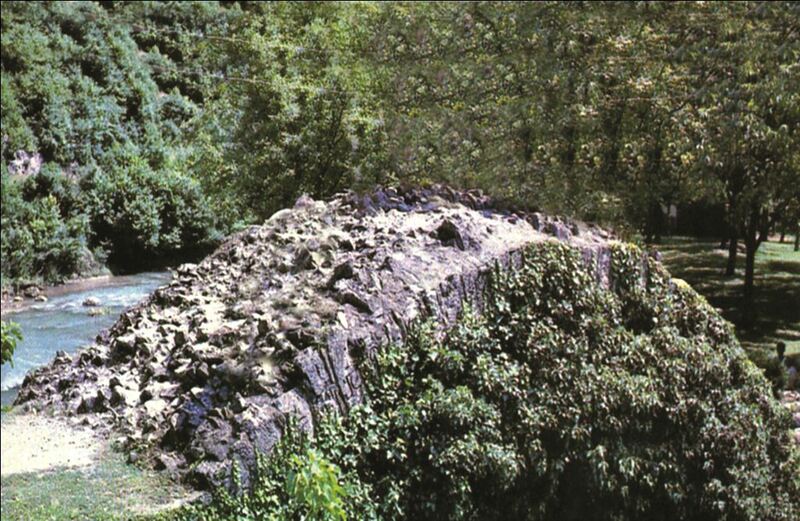 This old bridge fully meets the requirements of the modern bridge construction and can easily bear the weight of an uninterrupted sequence of the 8 ton-vehicles. Such a strong and technically high quality bridge should have been built on a big trade road of certain political significance. 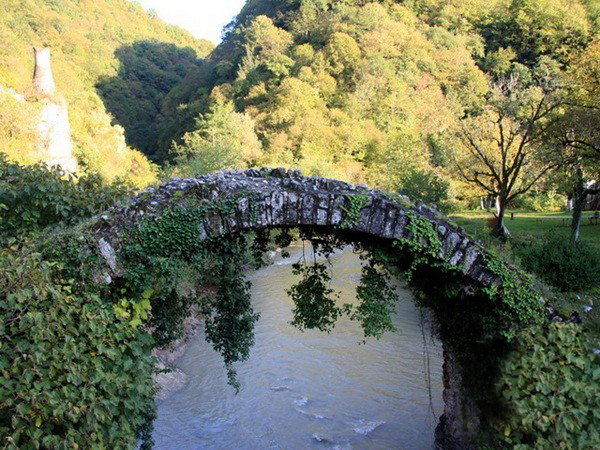 Analogies of Besleti’ s bridge are found in other regions of Georgia, namely, Rkoni arched bridge in Kartli and Dandalo bridge in autonomous republic of Adjara. 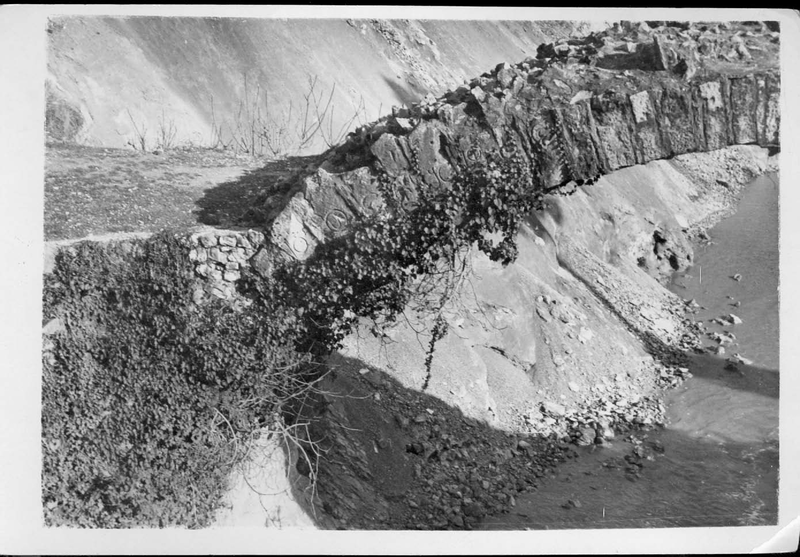 West side of the bridge bears a one-line asomtavruli inscription. The inscription is dated back to the late 10th-early 11th cc. Although, the inscription mentions King Bagrat, out of the great love to King Tamar (king of the United Georgian Kingdom 1184-1213), the bridge was given her name. Current condition: The territory is currently occupied by Russia, because of which it is impossible to study and to conduct the appropriate works. The bridge needs to be strengthened and cleaned from verdure. Bridge of Besleti has been given the status of national importance monument.